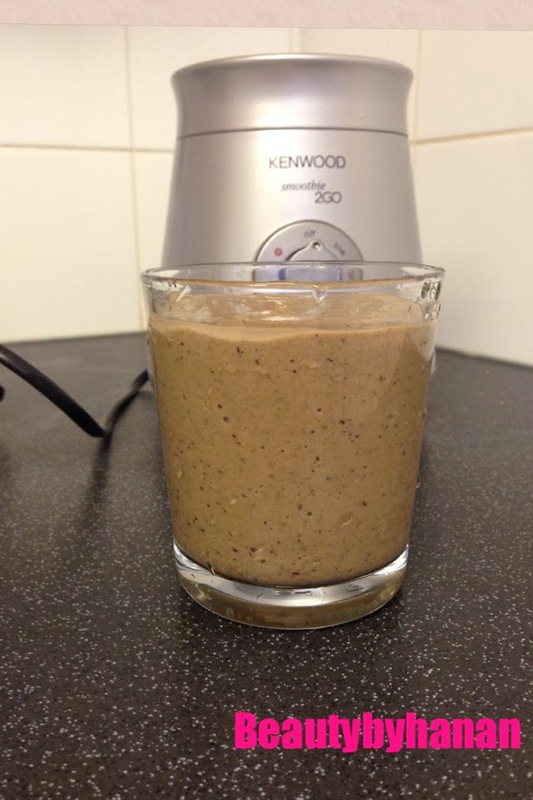 Hahaha, well... my smoothie came out looking a really odd colour this morning, but I can assure you it tastes amazing! Recently I have been a bit more aware of what I am putting into my body. I have such a sweet tooth I could live off sweets and no food! So in the hopes of changing that and looking after my health I wanted to start exercising more (hmm by that I mean doing 50 squats a day and increasing, is that still classed as exercise?) and focusing on beauty from within to give me more clearer, beautiful skin. 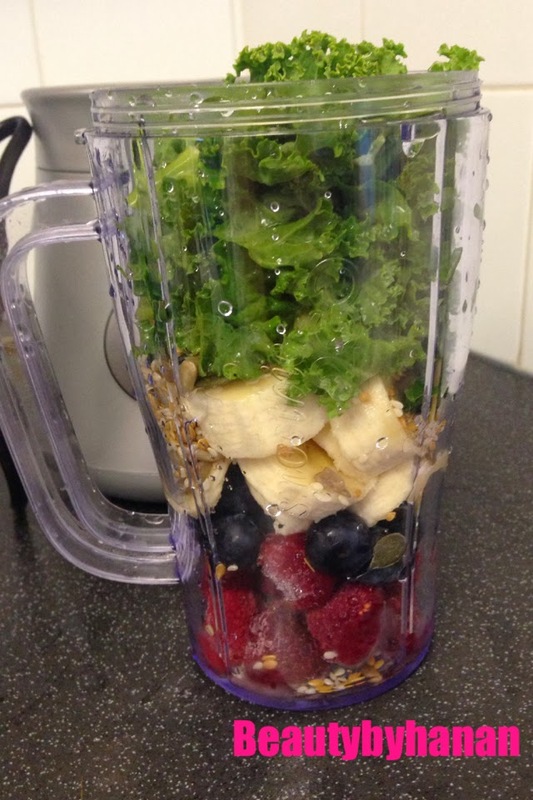 I wanted to share with you a smoothie I made today. It contains lots of yummy healthy antioxidants and seeds. The measurements are approximatly a handful of each, you can add more or less of any of the ingredients. I added honey purely for taste as mentioned above, I have such a sweet tooth I couldn't resist. Now, I just wanted to explain the health benefits of each ingredient. They have lots of antioxidants to protect against ageing, cancer and inflammation. vitamin A and E which are really good for the skin. Like raspberries, blueberries are very rich in antioxidants they also help with brain power too so basically improving your memory. Have iron so if you are a little anaemic then this is good for you, as anaemia can make you really tired. Helps lift your mood and reduces PMS symptoms by regulating sugar levels and produces stress release in the body. Helps you lose weight and is high in vitamin B6. Full of antioxidants, Vitamin A, and iron there are so many health benefits to kale I couldn't wait to add it to my smoothie. I got this little bag of goodness from Tesco in the whole foods section. It contains sunflower, pumpkin, sesame seeds and golden linseeds. They are a really good source of fibre to help the digestive system. The fatty acids in these seeds can help keep your skin supple and hydrated. They can even help with acne. I chose this milk as I wanted something a little different but you can use almond milk, rice milk, juice or water. Oat milk is dairy free and full of fibre has cholestral reducing properties and is low in fat. 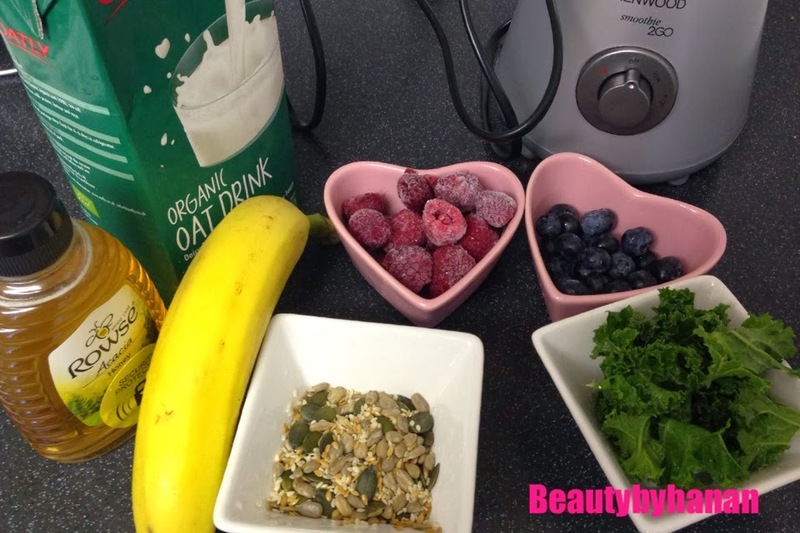 I hope you liked my smoothie post, what is your favourite smoothie? Really nice post and helpful information!